You don’t want to go without AC during a summer in Jacksonville, Florida, as the heat would simply be too much to deal with for most people. Always pay attention to the health of your AC unit and be aware of the following top signs your AC unit is about to break down. That way, you can take preventive measures before your AC finally succumbs for a repair or replacement. One of the first things you might notice when your AC unit is reaching its expiration date is a spike in your utility bills. Unless you’re seeing a major heat wave or the price of electricity has gone up, you shouldn’t really see a huge increase in the amount you pay. The higher bill is a result of your AC system working twice as hard to cool your home to the requested temperature. 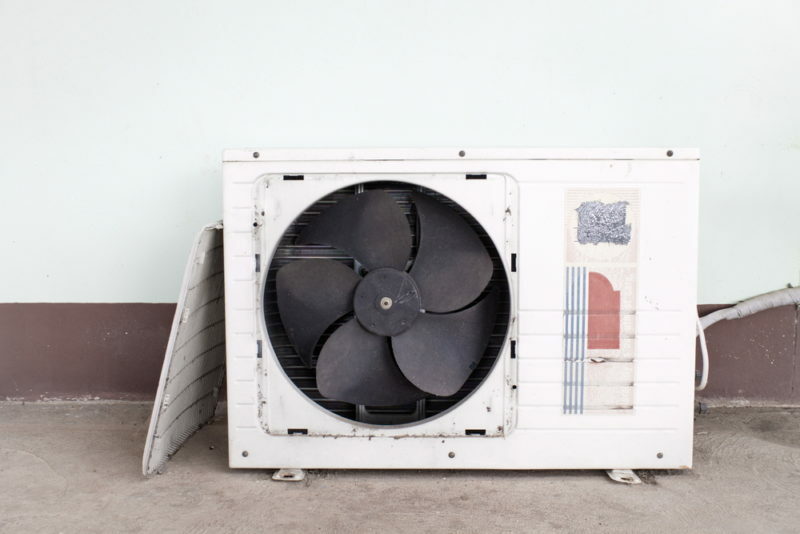 Your air conditioner should never smell. Therefore, if the air blowing out of your AC has any sort of odor, it’s worth calling us in to investigate. It could be a sign that wiring inside the unit is sparking, which could lead to a dangerous fire. Additionally, it could be a sign that your filters are not working properly, as these should catch particles in the air that cause smells and prevent them from circulating. Again, your AC should never produce loud or strange sounds. If you ever hear a grating, grinding, or squealing noise, these are indicators your AC has a problem. You may just need to have a certain part replaced, or the whole unit could need replacing. The only way to know for sure is to have a professional inspect your unit. Most HVAC units have built in dehumidifiers, meaning they pull the moisture out of the air to keep it comfortable and cool. If your AC is malfunctioning, you might start to notice water pooling around the unit. Eventually, this can damage the unit itself. Is your house getting cooled efficiently except for one or two rooms? If so, this suggests a problem with your AC ducts. Often, these can get clogged with dirt and debris, preventing the treated air from making it to the room’s vent. Letting this problem simmer puts a lot of strain on your system, as it will continue to try and push the air through with no success. However, the problem could also be a leak or a tear in the system. Therefore, it’s essential to have a professional take a look. The most obvious sign your AC isn’t working well is that your house is still warm. If you have the temperature set at a reasonable level and your AC just can’t cool your rooms down no matter how long it runs, it’s time to start looking at a replacement model. Typically, AC units should run in 15-minute cycles about two to three times an hour. Therefore, if your AC is running more or less than this without any results, it’s simply not up to the task anymore. AC systems in the Jacksonville area see a lot of use, so most don’t last more than 10 to 15 years. If your air conditioner is getting in this range, you might consider upgrading to a new unit. Sure, your old system might still work ok, but it definitely won’t be as efficient as a newer, more advanced unit. Many new AC models come with low SEER ratings and smart design features to reduce energy consumption and to improve efficiency across the board. If your air conditioner appears to be on its way out, there’s no sense in waiting until it finally dies. Call Northeast Florida Heating and Air to do a thorough inspection of your unit. If your unit just needs a simple fix, we can repair the problem quickly. However, if your unit’s age is a detriment to cooling your house, we also offer affordable air conditioner installation services. Schedule your appointment today by calling 904-201-3413.